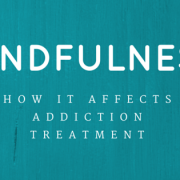 How Does Mindfulness Affect Addiction Treatment? Mindfulness is an addiction therapy that is proving to be successful at preventing relapse, and that can be integrated into other treatment programs. It is something that can learned and performed anywhere. One of the reasons mindfulness may contribute to sobriety is that it provides a healthy way to deal with and reduce stress1 and can increase self-acceptance2. What is it? One definition describes it as “paying attention in a particular way: on purpose, in the present moment, and nonjudgmentally”3. Essentially, it is consciously being aware of how and who and what you are right now, and doing so without judging yourself. Other ways of describing or thinking about mindfulness are “objectivity”, “neutralness”, “observing without judgment”, and “self-observing”. In mindfulness, you become an objective observer or scientist, consciously becoming aware of yourself, your experience, and your surroundings. The idea of what we now call “mindfulness” is not new. 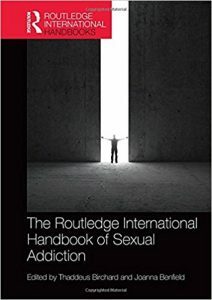 Hundreds of years ago, Leonardo da Vinci stated, “An average human looks without seeing, listens without hearing, touches without feeling, eats without tasting, moves without physical awareness, inhales without awareness of odour or fragrance, and talks without thinking.” In other words, the average human is not mindful. When we become mindful–when we become aware of what we are doing and experiencing–our human experience becomes richer and more meaningful. While there are multiple elements of mindfulness–including observing, savoring, meditating and breathing–conscious, non-judgmental observation is its core. Whether you are at a party, at work, out with friends, or at home, you can choose to intentionally notice the sensations you are experiencing and the thoughts you are thinking. How does your food taste? What do your fingers feel as they move around the keyboard clicking keys? What is it like being with your friend? What emotions are you feeling? Simply be aware of what is going on, without passing judgment. One of the ways this works is by helping the person become aware of what is going on, and instead of reacting, to continue observing. Since cravings are temporary, by watching, one can become aware of what triggers the craving, of the craving itself, and then of the craving’s abatement without actually giving in to the craving. You can practice mindfulness throughout the day by asking yourself intentional questions such as: What emotions am I feeling? What sensations is my body experiencing presently? What am I thinking? As you observe your thoughts, you can intentionally decide whether or not to believe them. Mindfulness is one of the therapies that Paradise Creek teaches at its recovery center for sexual addiction. Call (855) 442-1912 to learn more. https://www.paradisecreekrecovery.com/wp-content/uploads/2016/02/Mindfulness.png 315 560 Paradise Creek Recovery Center https://www.paradisecreekrecovery.com/wp-content/uploads/2015/11/Paradise_Creek_Recovery-Center_Sex_Porn_Addictions_horizontal_logo_blue.png Paradise Creek Recovery Center2016-06-06 16:00:492015-12-16 14:57:59How Does Mindfulness Affect Addiction Treatment?